1883. 87 pages. Tan paperback rebound in worn red plastic spine. 76 of numbered edition. 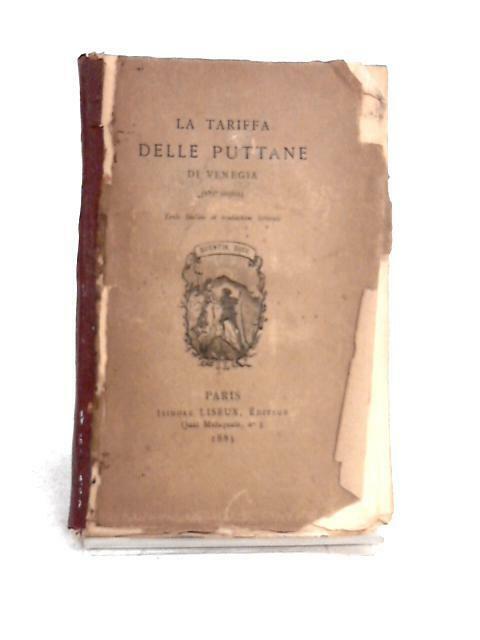 Original Italian language with French translation. Front cover has loss to edges and is only attached at middle of spine. Rough cut pages are tanned at edges. Mainly clean and neat, few small tears and some mild dog-earing. Glue at spine. Light foxing. Some light marking to edges. Well-worn biding. Spine is almost detached. Chipping, tears and loss to front and rear cover. Tanning, glue residue and marking to paper cover.